Diesel engines can easily be tuned for improvement in fuel economy, torque and power. Lancashire Remapping has an excellent range of ECU tuning products and our we can supply and fit any of the products, whether it is a bespoke engine remap or one of our high performance diesel tuning boxes from the Tuning Box Tuning range. 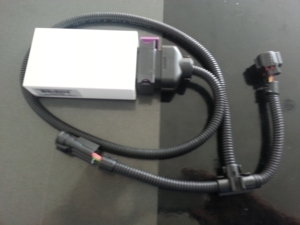 Tuning Box offers its tuning application to a wide range of diesel vehicles. It is programmable and can be used to significantly improve your vehicles driving characteristics. What can Tuning Box do for your vehicle? Tuning Box Diesel tuning boxes can be very useful for a number of applications and tuning, they are easily installed and your vehicle can be returned to its standard setting simply by removing it. Our Diesel tuning boxes are available through mail order and can be installed with no need to take the vehicle to a service centre or garage unless of course you would like us to fit it for you. Whether you own a Taxi, 4x4, commercial vehicle, pull heavy loads, tow trailers and caravans, cover high mileage or want to improve how your vehicle feels and responds whilst gaining improved fuel economy, there is a Performance Developments product that can help. Tuning Box is fully guaranteed as with the full range of Lancashire Remapping products and services. This is underpinned with our seven day money back promise.